Practicing exclusively personal injury law for more than two decades, founder David J. Zappitell has dedicated his legal career to helping Delray Beach and Florida residents achieve legal results that make a positive difference in their lives. 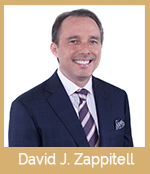 David established Zappitell Law Firm in 1992 with the goal to provide quality, personalized legal advice and representation in the areas of personal injury, business litigation and whistleblower/employment law. 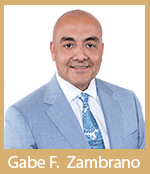 Over the years, he has assembled a team of highly experienced of counsel members and legal professionals. Their combined strengths and diverse backgrounds allow the firm to handle all matters with great skill and efficiency. 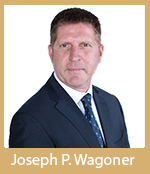 Board certified by The Florida Bar in the area of Civil Trial Litigation, David has achieved successful verdicts and judgments in all personal injury cases, from car crashes and motorcycle wrecks to catastrophic, one-of-a-kind accidents. To learn more about the educational and professional background of lawyer David J. Zappitell, or the of counsel members at Zappitell Law Firm, please view their attorney profiles below. We invite you to contact Zappitell Law Firm at (561) 330-6330 to schedule a free consultation to discuss your injuries or business matters. We are available to help you 24/7. Evening and weekend appointments are available upon request. Spanish language services are available.